Cute as a button and on over a 1/4 acre lot! A cozy covered front porch welcomes. And then inside is a most functional floor plan offering an open family room and kitchen with plenty of space for eat-in dining. All bedrooms are ample size and there are two full baths. From the kitchen is access to the outdoor patio. A new privacy fence surrounds this backyard area. What a fantastic yard for grilling, entertaining, and family enjoyment! A new HVAC has recently been installed. And to help kickstart furnishing your new home, the current owner is willing to leave the following items with an acceptable offer: stove, dishwasher, microwave, refrigerator, washer & dryer, sofa & loveseat, dining table & chairs, outdoor patio table & chairs, outdoor patio canopy. 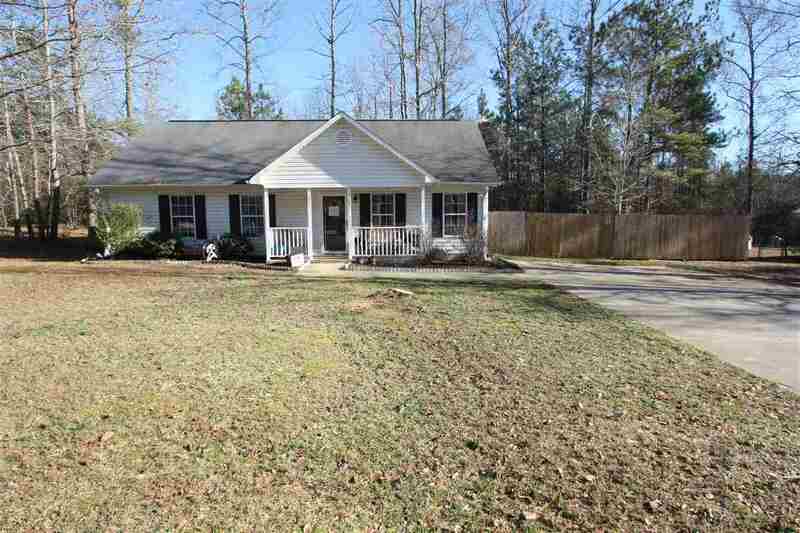 This sweet home is located just minutes from Downtown Woodruff. Very convenient to schools and shopping. Don&apos;t delay! This one will not last long! Call Judy today for your private showing.